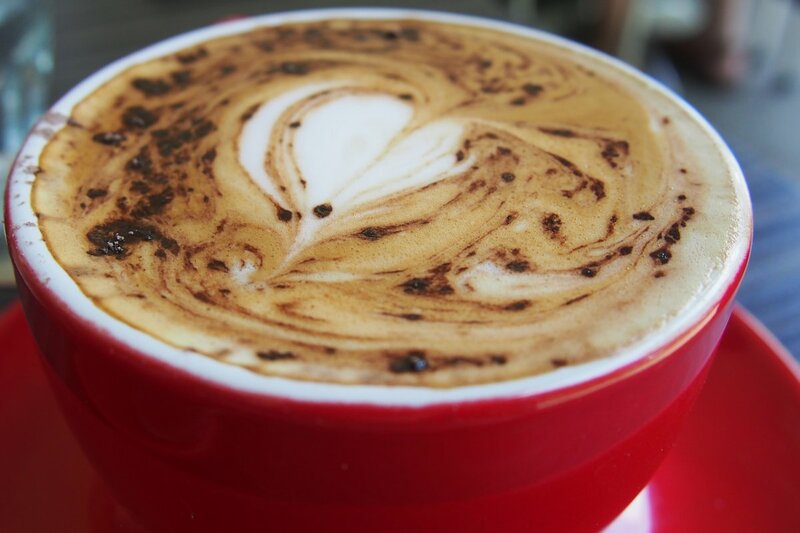 Deli in the Park Café is tucked away in suburban Lindfield overlooking (surprise, surprise)… a park. It’s all very serene on this weekend morning with the only hive of activity being the café itself! Even though it does get busy, you should always be able to find a table as there are a lot of them both inside and out. Reservations are also possible. The service was prompt with enough staff to go around although some seemed new and unsure of themselves which is forgivable. Some more interaction would have been nice though; personal exchanges were kept to a minimum so if you like your service ‘no fuss’ then you’ll actually prefer it this way! Pets are welcome (and common outside) and if you’re lucky, you may also see a celebrity personality or two drop in for a coffee. Our coffees ($3.60) were stronger than I was expecting and everyone at the table enjoyed their cup. 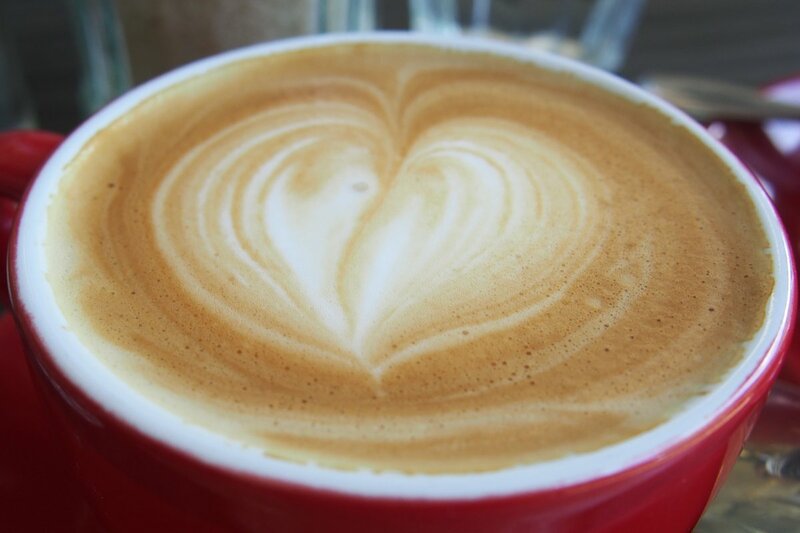 Chai lattes are the same price while hot chocolate or mochas are also available for $4.20. Affogatos are a reasonable $4.60. Loose leaf tea by La Maison Du The is available in all of the usual flavours for $4.50. Smoothies ($7.50) are on offer as mango, mixed berry or banana. 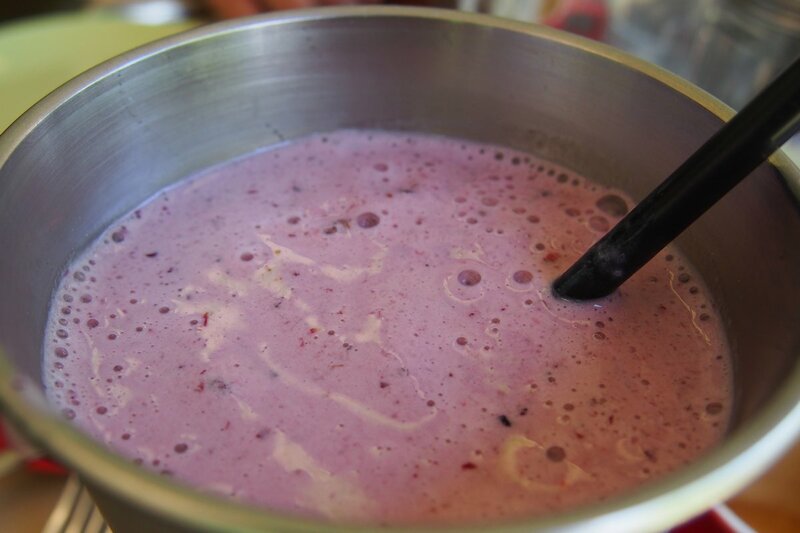 I combined mixed berry and banana and found that the overall flavour offered a good mix of both. The smoothie was quite thick with a decent amount of yoghurt. I would order this again! 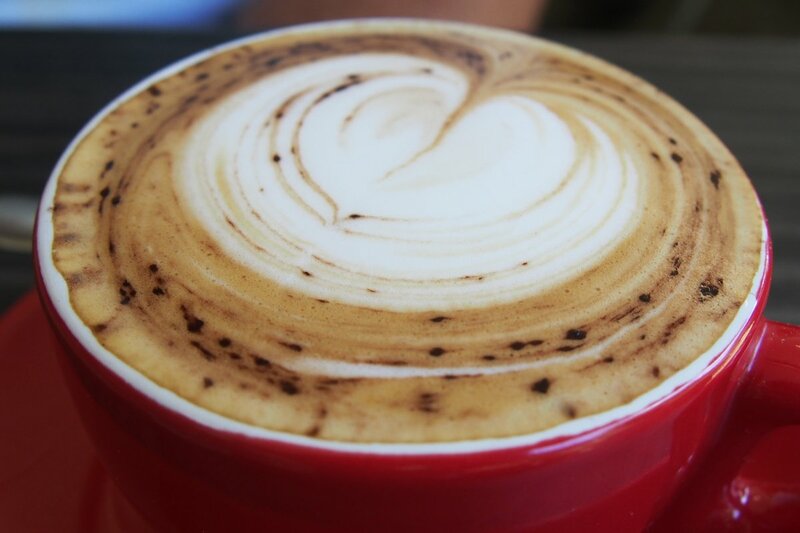 The selection of cold beverages is as good as any you will find elsewhere: freshly squeezed juice ($6.50), milkshakes (chocolate, caramel, strawberry, vanilla or coffee, $6, extra icecream 50c) or iced coffee/mocha/mocha ($6). 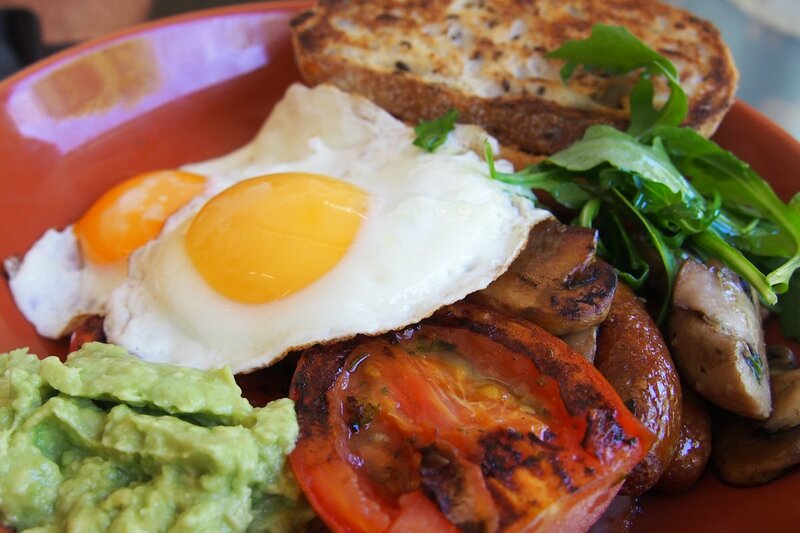 The Deli big breaky ($21) comes with a hefty price tag but you get a very large plate for that. Eggs any style, bacon, mushrooms, oven roasted tomato, hash brown, beef sausages and baby spinach. Quite the literal mouthful. My guest also added avocado and he proceeded to devour this dish with elegance. Well maybe not elegance… ‘ease’ shall we say. He enjoyed all of the components but I think that the mushrooms were in need of some more seasoning. 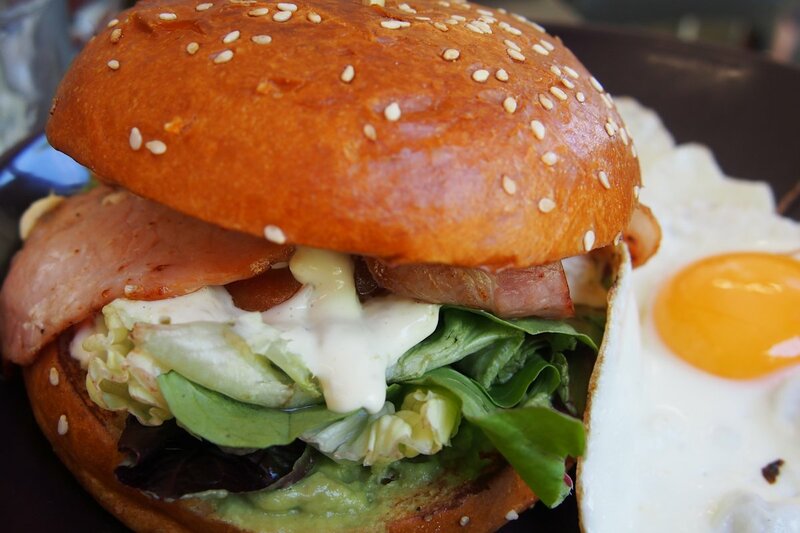 The breakfast B.L.A.T on brioche ($15.50) is also available with TWO poached or fried eggs for $3. My guest asked for the eggs on the side and DITPC was happy to oblige. So it’s obvious at this stage that we’re dealing with some sizable breakfasts here. This BLAT comes loaded with the obvious bacon, lettuce, avocado smash and tomato. It’s a well known combination but DITPC also throws a jalapeno aioli into the mix which works. Even though there was so much on this brioche bun, it all stayed together remarkably well even when eaten with hands. 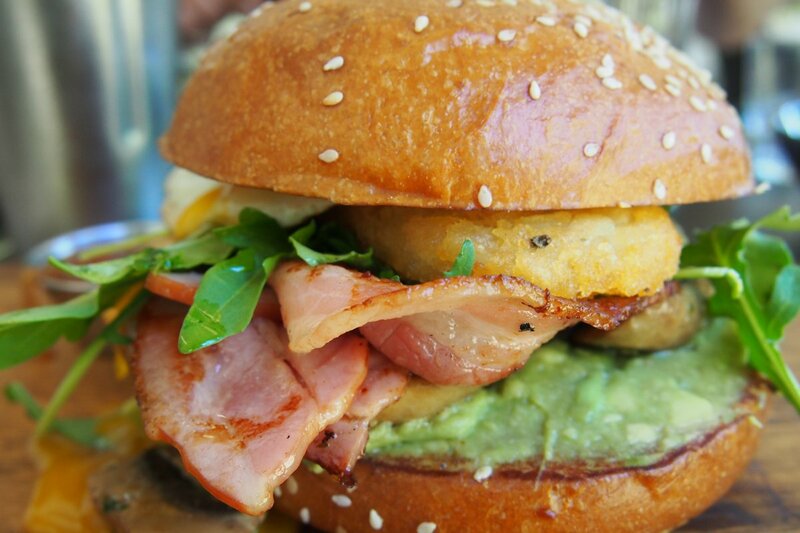 I ordered the Deli bacon & egg roll on brioche ($18.50). People either love or hate brioche so it seems to be a bold choice these days. I don’t think that its place is on either side of so many savoury ingredients but I go with the flow. Once again, this isn’t just a basic dish. Yes there’s (plenty of) bacon which I would have preferred crispier, egg, avocado smash, mushrooms, hash brown, rocket and spicy tomato relish on the side. There’s lots of everything including the mushrooms which were falling out left right and centre! That hash brown was absolutely stunning and really lifted this roll. The rocket was crisp and I couldn’t help but mop up every last drop of the tomato relish which was more sweet than spicy in my opinion. Every dish on the menu seems to have a lot going on. Sometimes it’s a case of too many flavours going on. I enjoyed everything that I tried but some people may find that they’d prefer to have some of the dishes deconstructed or made without some of the ingredients. If this is the case, just ask. What didn’t we try? Quite a lot! There’s the toasted granola with yoghurt, poppyseed, blueberries and grated apple ($14.50), blueberry and buttermilk pancakes with bacon and maple syrup ($17, add ice cream for 50c) and the parmesan and potato croquettes with smoked salmon, poached eggs, salad leaves and tomato salsa ($18.50). 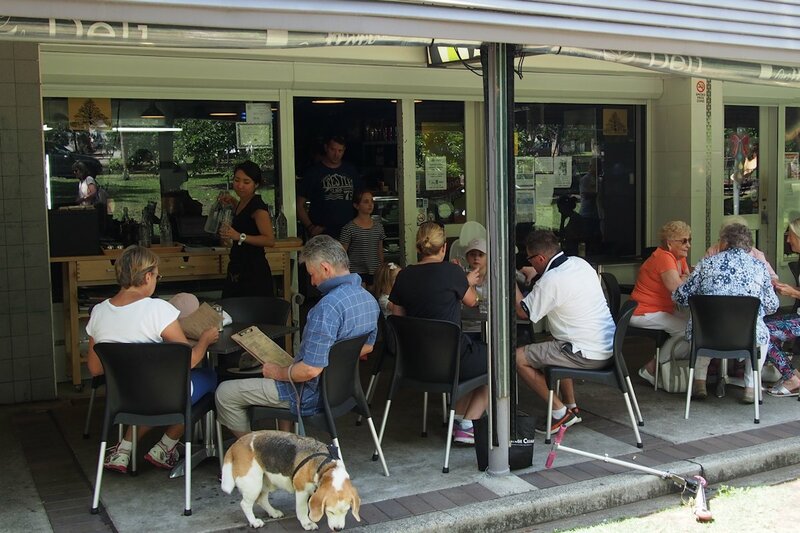 You’ll find a whole lot more too so if you’re in search of a sizeable and well-cooked breakfast on the Northshore, then Deli in the Park Café has a lot to offer. This entry was posted in Sydney - North Shore and tagged Disabled access, Dog friendly, Free range eggs, Fresh fruit and vegetable stores close by, Gluten free options, Outdoor seating, Parking close by. Bookmark the permalink. Nice to see a north shore cafe raising the bar! Great review, I might need to check this one out! That toasted granola is calling to me…..
You always write such balanced reviews I really feel like I can trust your judgement! Thanks for the comments gemdavies. Be sure to let everyone know what you think after you visit!